The awards ceremony for the 2013-14 World Marathon Majors (WMM) series has been postponed following reports on Friday that Kenya’s Rita Jeptoo failed a drugs test in September. The 33-year-old had been due to collect the women’s prize, including a cheque for $500,000, on Sunday after the final event in the series, the TCS New York City Marathon, having secured her WMM series victory with a win at the Bank of America Chicago Marathon on October 12. But on Friday the website RunBlogRun reported that an A-sample provided by Jeptoo during out of competition testing in Kenya at the end of September had tested positive for a banned substance. According to the website, the testing was done by a urine sample, with Jeptoo’s B-sample said to not yet have been tested. 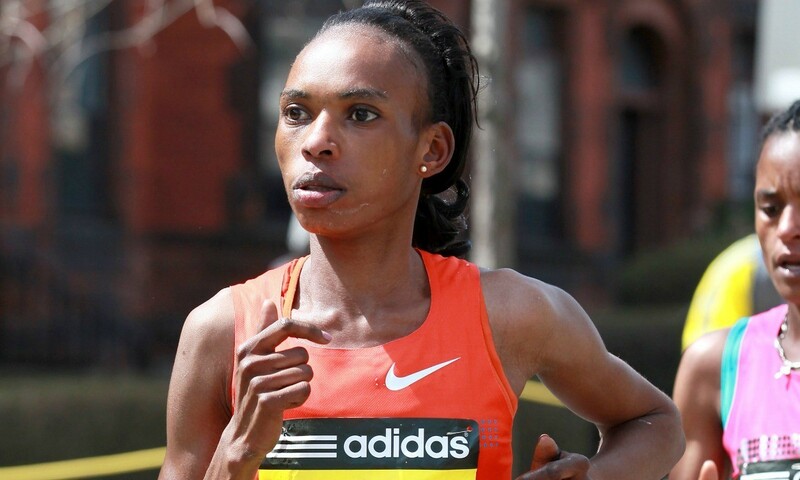 After that reported test in September, Jeptoo went on to win in Chicago, clocking 2:24:35 to retain her title. Earlier in the year she had also successfully defended her Boston Marathon title in a course record time of 2:18:57 and tops the WMM series table with a maximum 100 points. She is the first athlete in the history of the race series to claim the maximum points available. “World Marathon Majors is disappointed to learn that Rita Jeptoo has apparently had an A test that proved positive for a banned substance under IAAF rules,” read a WMM statement in part. Athletics Kenya president, Isaiah Kiplagat, also confirmed that the governing body is yet to be officially informed of Jeptoo having failed any doping tests. But this was followed by further reports published on Friday which stated that Jeptoo had tested positive for EPO, with Athletics Kenya vice president, Jackson Tuwei, telling AFP that, after having received a letter from the IAAF, they summoned Jeptoo for a meeting in Nairobi at which “she denied having taken any drugs”. The WMM has demonstrated continued efforts to be a leader in the anti-doping movement and in 2013 the race series introduced stricter anti-doping penalties. Nick Bitel, general counsel of WMM, said: “WMM has always held a stern line on drugs cheats and has been proactively supporting the sports governing bodies to ensure the integrity of the athletes competing in their races.